Let us make home buying easy for you. Buying a home can be a very intimidating process, especially if you’ve never done it before. So the first thing you should do before anything else is to choose the right Buyer’s Agent to assist you in your search and represent your interests during the negotiation and purchase process. To find a real estate agent, it’s best to choose a local specialist who has helped others in the areas you are interested in living. Ask lots of questions and make sure they have answers that satisfy you. Don’t go with anyone who makes you feel uncomfortable. It is recommended that you retain a full service company that can coordinate all aspects of the purchase process. Start your process by interviewing one of our buyer specialists. 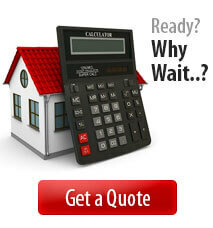 You can calculate how much you can afford by starting online here. Our Affordability Calculators can help you get a rough idea of how much home you can afford. Don’t forget to factor in money you’ll need for a down payment, closing costs, fees (such as for an attorney, appraisal, inspection, etc.) and the costs of remodeling or furniture. Remember that there are programs available that require reduced or no down payment. Complete the form below and one of our home buying specialists will contact you to help you determine some initial guidelines. Make a list of the things you need to have in the house you buy. Ask yourself how many bedrooms and bathrooms you’ll need, how big you want the kitchen to be, if there’s an adequate number of closets and cabinet space and if the yard is big enough for your kids and/or pets to play in. Once you’ve made a list of your must-have’s, don’t forget to think about the kind of neighborhood you want, types of schools in the area, the length of your commute to and from work and the convenience of local shopping. Take into account your safety concerns as well as current home prices and appreciation trends in the area. Now that you’ve found the home you want, you have to make an offer. 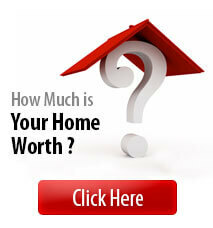 Most sellers price their homes a bit high, expecting that there will be negotiation involved. You will want the full resources of a buyer’s agent with Linton Hall, Realtors in your corner. Getting started” usually does not mean that you are going to rush out today and purchase a house. Most buyers understand that purchasing a home is a “process,” not an “event.” We encourage our clients to begin their process as much as twelve months in advance of their anticipated move date. However, if you find that your timing is sooner than this, we can still assist you. It just means we have to work faster for you! If you are interested in investigating the possibilities of purchasing a home, please complete the following fields in order to investigate the next steps in your home purchasing process. There is no commitment, nor obligation while you are investigating this process further.